Rosemary Scapicchio is a highly experienced Boston criminal defense lawyer. She has been successful in exposing police misconduct in murder cases that resulted in not guilty verdicts for her clients. Attorney Scapicchio is fierce in the courtroom, attacking police investigations, identification and scientific evidence. Attorney Scapicchio has worked for years to locate and expose withheld exculpatory evidence that led to wrongful convictions. She has been successful in freeing innocent clients who had been sentenced to life without the possibility to parole. Attorney Scapicchio has been named a Super Lawyer by her peers from 2003-2018. She has won a number of awards for her zealous advocacy for her clients. Rosemary Scapicchio wins 25 year battle to free innocent client, Sean Ellis. WGBH's host of Greater Boston Jim Braude was joined by Sean Ellis and his defense attorneys, Rosemary Scapicchio and Jillise McDonough discussing his dropped charges – 25 Years Later. Click here to see the show. Attorney Scapicchio secured a not guilty on a first-degree murder charge for her client, Lee Gill. The Commonwealth alleged that Gill dropped off the shooter in a homicide and then picked up the shooter afterwards and fled the area. Attorney Scapicchio successfully undermined the Commonwealth's allegation that Gill was engaged in a joint venture with the shooter. Lee was reunited with his family after trial. A Suffolk Superior Court judge suppressed all cell phone evidence in a first-degree murder case where Attorney Scapicchio successfully convinced the Commonwealth that the affidavit filed in support of the search warrant application was insufficient to establish probable cause to search the phone. A Suffolk Superior judge granted Brian Smith a new trial relating to his convictions for armed home invasion and armed assault with intent to murder among other charges stemming from an August 18, 2006 incident. Mr. Smith was sentenced to thirty to thirty-five years in prison as a result of the convictions. The Commonwealth alleged at trial that Mr. Smith was targeting the resident of the apartment along with another individual, while Mr. Smith maintained that he was at the apartment buying drugs when an unknown individual attempted to enter, and fired shots into the apartment. The court found that the Commonwealth withheld key evidence that another individual residing at the apartment was scheduled to testify against gang members the next day, and that she was likely the target of the home invasion. The court found that this information would have been key to Mr. Smith's defense, and granted him a new trial. Click here for the Decision. The Commonwealth dismissed a first-degree murder charged in Brockton. Attorney Scapicchio forced the Commonwealth's hand, so the prosecutor was compelled to either nolle pros the charges, or face dismissal due to a Speedy Trial violation. Several days ago there was an outrageous inaccurate claim made on charlestownbridge.com that I was a potential candidate for Suffolk County District Attorney. Nothing could be further from the truth. I have spent my entire adult life DEFENDING individuals accused of a crime and prosecuted by that office. Not for a single moment have I considered such a career change as there is not a single fiber in my being that desires to stop DEFENDING people. I can only surmise that the source of this falsehood are the very people that want me to stop the successful zealous advocacy I have practiced for now over 26 years. November 2017: Murder Case Dismissed: The Commonwealth dismissed first-degree murder and all firearms charges after a lengthy Motion to Dismiss hearing, after which evidence was developed that implicated a third-party in the murder. August 2017: Attorney Scapicchio secured an evidentiary hearing on behalf of Rasheem Christian relating to the Commonwealth's egregious misconduct in withholding 2700 pages in documents in a homicide case. June 2017: Attorney Scapicchio secures a not guilty verdict on Murder and subsequently secures a finding of not guilty on an Unlawful Possession of a Firearm Charge. Yerri Perez was charged with murder and unlawful possession of a firearm. Attorney Scapicchio presented a defense of mistaken identity because only two of the Commonwealth's witnesses provided a general description that loosely fit Mr. Perez's description. The jury found Mr. Perez not guilty but convicted him of unlawful possession of a firearm. After trial, Attorney Scapicchio successfully argued that the Commonwealth did not present any evidence to show that if Mr. Perez was not the shooter during the crime, that he possessed a firearm. The Court vacated Mr. Perez's conviction of possession of a firearm on those grounds. Attorney Scapicchio successfully sued the Department of Correction on behalf of William Cox on the grounds that the DOC failed to provide Mr. Cox with reasonable accommodations under the American with Disabilities Act. The jury granted Mr. Cox $250,000.00. See Attorney Scapicchio Argue Ellis' case before the full bench of the Supreme Judicial Court. See what national television viewers are saying after seeing Rosemary Curran Scapicchio defend her client live in court! Attorney Scapicchio provides aggressive criminal defense for individuals who are under investigation or who have been indicted for murder, firearms charges, drug trafficking offenses, armed robbery and other serious felonies. Her aggressive cross examination of Boston Police detectives has exposed a lack of police investigation which has led to several not guilty verdicts on high profile murder cases. Attorney Scapicchio started her practice in 1991 handling both trials and post conviction appeals for serious criminal cases throughout the country. She has represented clients in the First Circuit, the Fourth Curcuit, the Ninth Circuit, and the United States Supreme Court. Her proven criminal defense strategies win motions to suppress evidence including firearms, drugs and statements to police that resulted in her clients cases being completely dismissed. Tirelessly pursuing justice for her client, Scapicchio exposed police misconduct in the Boston police department. She won a new trial, freedom and a 14 Million Dollar jury award for Shawn Drumgold who had served fifteen years on a murder conviction for a crime he did not commit. She has appeared before the United States Supreme Court for a review of the constitutionality of the federal sentencing guidelines. Attorney Scapicchio was successful in persuading the judges to declare the federal sentencing guidelines non-mandatory for every federal criminal defendent. A local newspaper was so impressed by her argument before the Supreme Court they headlined their article "Supreme Performance". After observing her in the court room another criminal defense attorney was quoted as saying "Rose is as good as it gets in this city"! With her extensive experience handling criminal cases, trials, appeals, motions for new trials, as well as complex civil trials, Rosemary Curran Scapicchio possesses the skill to help you navigate through the criminal justice system. If you have been convicted and sentenced, Attorney Scapicchio can assist you on appeal. Never give up. Our clients appreciate the fact that Rosemary Curran Scapicchio personally handles their cases from start to finish. The powerful bond of trust and cooperation between the client and Attorney Scapicchio assists in building strong cases. People accused of serious crimes and felonies deserve to clearly understand the charges and the potential sentences. They also need to understand the probable sequence of events that they can expect as Rosemary Curran Scapicchio defends them. Attorney Scapicchio makes it a point to keep her clients informed through every step of their case. Rosemary Curran Scapicchio will use everything she has learned over the past 27 years of trial experience, including her winning track record of "Not Guilty" verdicts, to fight the serious criminal charges against you. She puts the Commonwealth of Massachusetts or the federal government to the test of proving every essential element of the crime beyond a reasonable doubt. Her extensive trial experience combined with her appellate experience produces the best result possible for her clients. If you need a highly experienced criminal lawyer to represent you zealously, please contact the Law Offices of Rosemary Curran Scapicchio. You can count on Rosemary Curran Scapicchio to give you a "supreme performance" and provide the best criminal defense possible. She is very respected in legal circles throughout Massachusetts and country. She feels strongly that each and every client deserves the best criminal defense possible. Call, fax or e-mail her to schedule your initial consultation. 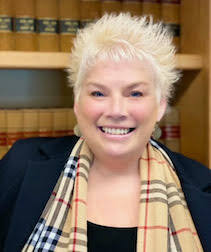 The Law Offices of Rosemary Curran Scapicchio serves clients in Boston, Massachusetts, and across the state, including the cities and towns of: Amesbury, Andover, Avon, Belmont, Beverly, Boxford, Braintree, Brookline, Burlington, Cambridge, Canton, Carlisle, Cohasset, Concord, Danvers, Dedham, Dorchester, Dover, East Boston, Framingham, Franklin, Gloucester, Haverhill, Holbrook, Ipswich, Lawrence, Lexington, Lincoln, Lowell, Lynn, Lynnfield, Marblehead, Marlborough, Marshfield, Medfield, Medway, Melrose, Methuen, Middleton, Millis, Natick, Needham, Newburyport, Newton, Norwood, Peabody, Plymouth, Quincy, Randolph, Rockport, Roxbury, Salem, Saugus, Scituate, Sharon, Sherborn, South Boston, Stoughton, Sudbury, Swampscott, Topsfield, Walpole, Wayland, Wellesley, Weston, West Roxbury, Weymouth, Winchester and Cape Cod.